The FDA continues to ramp up evaluation methods when assessing medical devices; here are four devices cleared or approved so far in 2019. Medical devices are a vital component of the overarching life science industry, and are used to treat cardiovascular, neurological and dental problems, to name a few. A market research report by Technavio estimates that the global medical device industry will grow at a compound annual growth rate of 5 percent between 2018 and 2022, resulting from an increase in the prevalence of acute and chronic diseases, including cardiovascular, neurological, orthopedic and respiratory diseases. In short, what this means is the need for medical devices to treat these diseases is only going to continue rising. Case in point, the US Food and Drug Administration (FDA) approved or cleared 55 devices in 2018 alone, which translates to roughly one approval per week. FDA Commissioner Scott Gottlieb released a statement on March 15 indicating this is an “unprecedented era in medical devices.” He said advancements in material sciences have “led to technological breakthroughs,” including the 3D printing of medical devices, continuous glucose monitoring patches for diabetes and “miniaturized” brain implants for treating epilepsy and Parkinson’s disease. Gottlieb said the FDA will collect input from patients, device manufacturers, researchers and physicians to better understand concerns and to gather ideas on how the FDA should proceed. “Any new initiatives we implement must be rooted in putting patient safety first and based on sound science,” the statement reads. On that note, while the FDA plans to ramp up its review process on evaluating medical devices, the agency has cleared or approved five so far this year. Here, the Investing News Network takes a closer look at four of the devices that were developed by publicly traded companies. You can read here for more information on the FDA approval process. The Sangia Total Prostate Specific Antigen (PSA) Test device was developed by OPKO Health (NASDAQ:OPK) and was FDA approved on January 30. PSA is a protein that is produced by cancerous and non-cancerous tissues in the prostate gland. The device is used as a tool in diagnosing prostate cancer and is the first point-of-care test that provides PSA results at the location the patient is being examined, such as a doctor’s office, rather than them having to wait for lab results. The tests are done with a finger prick with results usually available within 15 minutes. The blood sample is collected and fills up the device’s sample collector, which connects to the cassette assembly that is then installed into the Claros 1 Analyzer to test the sample. The device aims to detect prostate cancer in men over the age of 50. A clinical study tested the safety and effectiveness of the Sangia Total PSA test in more than 4,340 men across 10 different sites in the US. Results of the trial indicated that the device is safe and effective in detecting prostate cancer. In its Q4 2018 results, OPKO Health said that it is proceeding to obtain a Clinical Laboratory Improvement Amendments waiver for the test and analyzer. The waiver would allow the test to be done by “most medical office personnel with minimal training,” and the company also plans to have the device scaled up for “manufacturing capacity” sometime in 2019. Essential Medical, which was acquired by Telefex (NYSE:TFX) in October 2018, saw its MANTA Vascular Closure device approved by the FDA on February 1. This product is intended to close large puncture sites in the leg’s femoral artery after catheterization procedures. A surgeon uses the device by putting a toggle-collagen plug in the punctured area of the leg to stop blood from flowing. From there, the toggle is released in the vessel, while the collagen is placed outside of the vessel. According to a press release issued by Teleflex, the MANTA Vascular Closure device is the first commercially available biomechanical vascular closure device specifically for large-bore femoral arterial access-site closure. Data from the clinical trial demonstrated it achieved “fast, reliable biomechanical closure with rapid hemostasis” and met all primary and secondary endpoints. The M6-C Artificial Cervical Disc device was developed by Spinal Kinetics, a company that was acquired by Orthofix Medical (NASDAQ:OFIX) in 2018. This product received FDA approval on February 6. An Orthofix Medical press release indicates that the device is designed for patients with cervical disc degeneration, and is intended to replace an intervertebral disc damaged by the condition. According to Orthofix Medical, the M6-C device is the only artificial cervical device that “mimics” the anatomic structure of a natural disc by integrating an artificial visco-elastic nucleus and fiber annulus into the design. The device received premarket approval based on clinical data from a US investigational device exemption study that shows safety and effectiveness of the product when compared to anterior cervical discectomy and fusion for treating symptomatic cervical radiculopathy with or without cord compression. Orthofix Medical estimates releasing the device sometime in 2019 by way of a controlled, limited market launch across the US with a training and education curriculum for surgeons. The final products to land on the list are two devices that are updated models of the MitraClip Clip Delivery System, which had previously received FDA approval. This product line is developed by Abbott Vascular, which is a subsidiary of Abbott Laboratories (NYSE:ABT). The FDA granted approval for the system on March 14. In a press release issued by Abbott, the company states this is the first-ever minimally invasive mitral-valve-repair device to assist difficult-to-treat heart-failure patients with significant secondary mitral regurgitation. The approval is based on results of trials run to confirm the safety and effectiveness of the devices. According to the regulatory agency, the MitraClip is implanted using a tube-like device through the femoral vein in the leg, and is then guided into the left side of the heart. The device aims to reduce the amount of blood that moves in the wrong direction through the mitral valve, which will improve heart failure symptoms, quality of life and chance of survival. 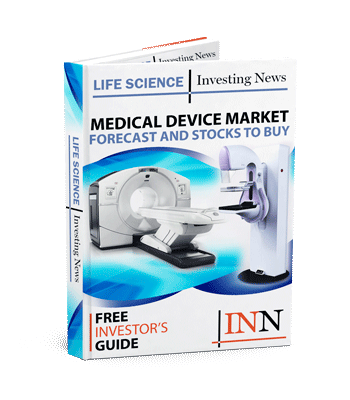 Get the latest information about companies associated with Medical Device Investing Delivered directly to your inbox.